Consultation has concluded. Thank you for sharing your feedback with us. 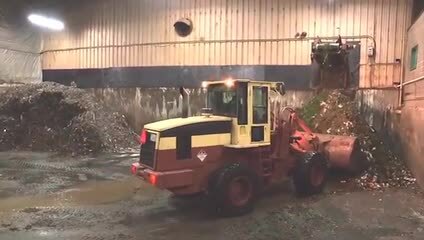 The municipality is seeking your input on what attributes you feel are important when considering compost processing systems and operations. This will help guide staff in the formation of a Request for Qualifications (RFQ) in which industry will submit proposals to provide solutions to the Halifax region’s organics management. As a result of all the hard work and dedication shown by residents, our region has an extremely successful organics management program—so much so, our current compost facilities are at capacity. For the last 17 years residents and businesses have been contributing to the ongoing success of the program, one banana peel at a time. Fantastic job! The Halifax region has been a leader in organics processing since 1999 but our organics management facilities are aging and have reached their processing capacity. In addition, new compost maturity guidelines were adopted by Nova Scotia Environment in 2010, with compliance anticipated by 2019/20 - no firm date has been given by NSE. Our existing facilities cannot meet these guidelines without expansion or replacement. As a result, the region must make investments in our composting facilities to increase capacity, meet new guidelines and recapitalize current or new infrastructure to ensure continued long-term success of the program. Since 1999 there have been many advances made in the field of compost. The Halifax region now has an opportunity to explore and review a range of processing options for our municipality. The goal of which is to ensure value for money, adherence to compost regulations, minimizing the impact to residents and planning for future expansion. No decisions have been made as to what type of system(s) will be used. On October 27, 2016 Nova Scotia Environment confirmed “no deadline has been set for complying with the guidelines, and there are no proposals being brought forward at this time to establish one".